You may have seen my post last week where I said I was going to start writing a post every Friday about certain special moments of the week. This week I have decided to call it #WeeklyMoments. It isn't a linky but just something I can write each week for myself and look about what special things we have done each week. Even the littlest things. Last Sunday it was Mothers Day. I wasn't expecting anything if I am honest. Maybe a card but no gifts but I would of been happy with just a card. I didn't have a lie in because my partner had worked until 3am that night. Elliw did lie in bed with me until 9-10am so I guess you could call it some kind of lie in without sleep. That day, my partner took Elliw out to see some family and food shopping whilst I painted the girls' bedroom. Mia was in her Dad's. When my partner and Elliw arrived back home, Elliw came upstairs and gave me a gift bag and a card. 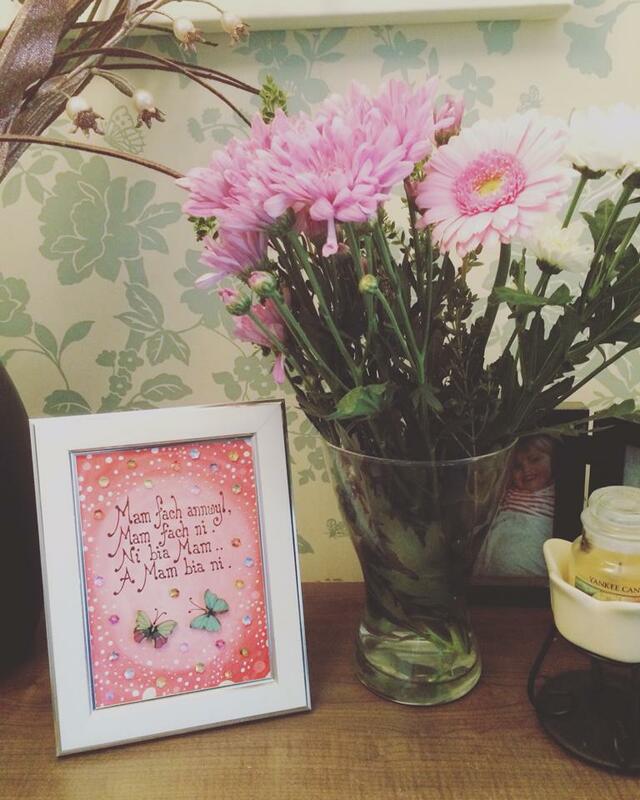 I went to sit in my bedroom to open and I had a big lovely card off the girls, some beautiful flowers and a gorgeous handmade frame too. I was over the moon. The frame is in welsh but doesn't sound right in English so I won't bother translating it but it is a lovely poem. They are now happily on my shelf in the living room. Another special moment for this week was Elliw's 4th birthday. It was such a lovely day and you can see a video I did about her special day on my Vlog. 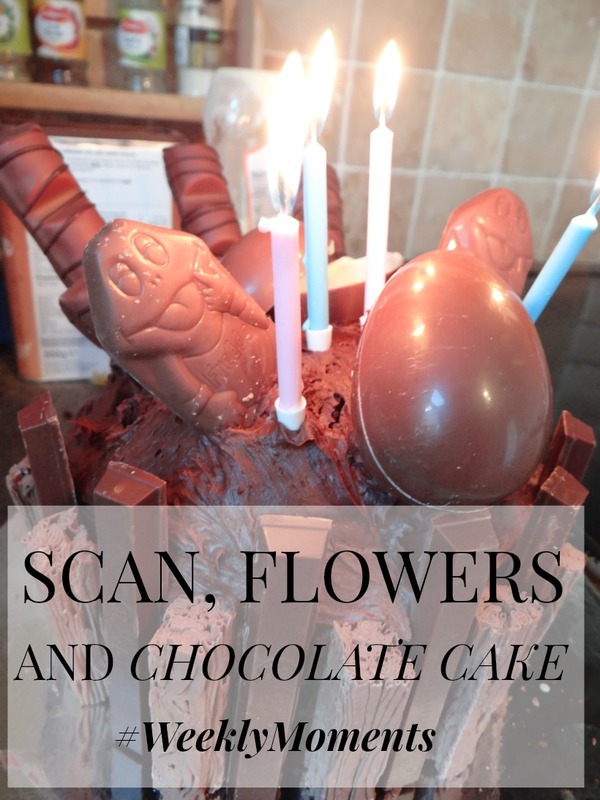 She had lots of fun and I baked her a full on chocolate cake with all of her favourite chocolates on top. She loved it and so did everyone else. I can confirm that Baby is 100% a boy. 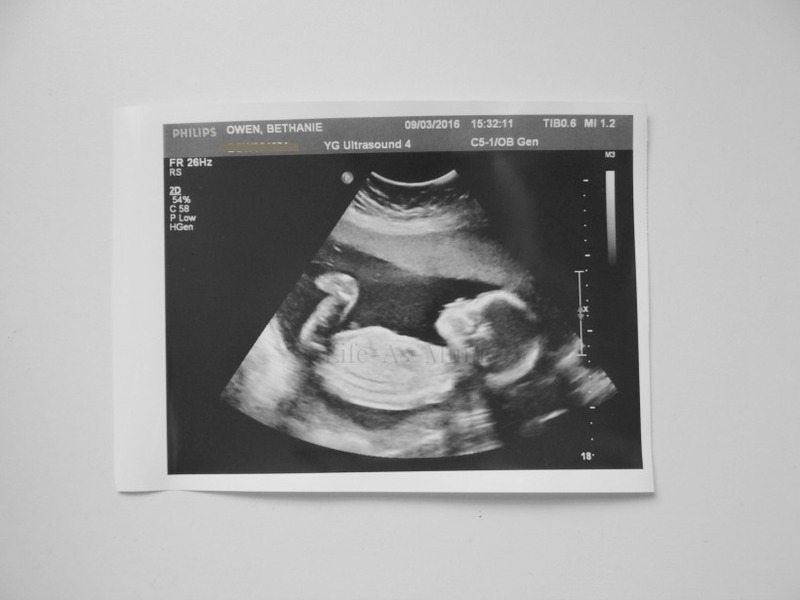 Although we had a gender scan at 14 weeks 5 days, I was till nervous that they were going to turn round and say at the 20 week scan that we were having a girl! It was so lovely seeing my baby boy so active and literally feeling him kicking and moving inside of me whilst watching him move on the screen. The most amazing feeling ever whilst being pregnant. Just another 20 weeks to go. Cute scan photo. The cake you made looks delicious and i love flowers and photo frame.